I was digging through the archives of my digital pictures and decided to upload a sample of images that struck me. Some of them struck me quite hard. In case anyone doubted it, I come from a long line of white-men can’t dance. 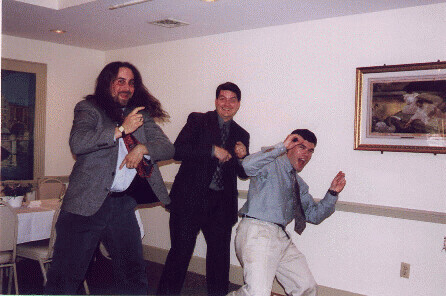 This picture was taken at the wedding of my good friends Jim and Robin, whom I will see next week for Dragon*Con. If you’re wondering why I look so different in that picture, it’s because it was eight years ago. This image is really funny. This entry was posted in Fun, Photography. Bookmark the permalink. I deny any relation to any person in that picture.